Before you find yourself rushing to get your year-end renewal appeal in the mail and blindly mailing to every name in your house file, carve out some time to review your mailing list. Why? Not everyone in your database is appropriate for a year-end appeal. A year-end appeal should be written specifically with one audience in mind: your core donors. Your letter should thank them for being critical partners in your work, explain what their last gift accomplished, and invite them to renew their support. I’d be willing to bet that not everyone in your database falls into the core-supporter category. Also, there are probably names in your database of people who, if you look closely, are highly unlikely to respond. You want to make sure you are spending your resources on donors who will give you the most bang for your buck, especially when you have a limited budget (and who doesn’t?). Review your mailing list and identify donors who are either unlikely to respond to your general renewal appeal or who might be more appropriate for a different letter. A better list will increase your response rate and increase your return on investment. Has your organization established a point where a “lapsed donor” transitions to “former donor” status? This may be anywhere between 3-5 years since the last gift, but at some point it doesn’t pay to keep mailing to this group of donors ad infinitum. To find out if it is time to bless and release some donors from your renewal appeal (and instead try another, more effective reengagement strategy), consider the return on investment (as a group) for donors whose last gift was 4 or 5 years ago. Let’s say, for example, I have 475 donors whose last gift was in 2010. I spent $337 ($.71 per piece) to mail my year-end letter to these donors. I received 4 gifts (.84% response rate) from these folks totaling $120. Clearly, this is not a great return on investment, especially when you consider the cost of other communications they received throughout the year. You could certainly argue that the lifetime value of these 4 donors (the total amount they will give in years to come) is worth the investment of $84 each, but it might make sense to consider a more cost effective approach to renew them. Your database probably has a collection of people with some sort of connection to your organization but who have not yet made an actual financial gift. These prospects might be workshop or event attendees, event volunteers, or even someone who has benefited from your services. 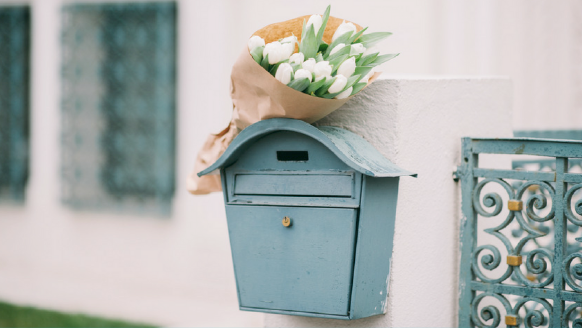 Since a renewal mailing doesn’t always make sense for this group, instead send them an acquisition-style letter thanking them for their specific connection and inviting them into a deeper relationship with your group through a financial gift. Someone who responded to an ‘in-lieu-of-flowers’ memorial request for a work colleague’s mother. A golf tournament or workshop participant who paid a registration fee. Consider these people as “very good prospects” rather than as annual donors. While you want to encourage these people to give, they’ll likely respond better to a more targeted message. As with your no-gift-yet prospects, your goal should be to motivate them to become annual supporters by inspiring them with your organization’s story. At the very least, if you do include these donors in your general renewal appeal, it would certainly be worth evaluating response rates and considering whether that strategy is working. Most states require a nonprofit to be pre-approved and pay a fee to solicit that state’s residents in any way, including through the mail. If you have donors in states where your organization has no charitable solicitation license, make sure you exclude those donors from all solicitation requests. For your best or most promising out-of-state donors, try sending an annual update letter that doesn’t include a specific ask to keep them thinking about you at year-end giving time. Don’t forget to get licensed to solicit in your own state if required! Are you regularly running your donors through the National Change of Address Registry (NCOA) before each mailing? Are you consistently recording those changes? Make sure you are keeping track of all returned mail and searching for updated address. The USPS processes 40 million address changes each year and you don’t want to lose those precious donors by not keeping up. Although a mailing list audit will take some extra time, a thoughtfully selected list will improve the results of your year-end appeal. Even more important, it will allow you to provide more meaningful and relevant communications for your donors and keep them giving down the road.